1984 commercial for Midland Bank Free Banking!!!. Midland Bank Plc was one of the Big Four banking groups in the United Kingdom for most of the 20th century. It is now part of HSBC. The bank was founded as the Birmingham and Midland Bank in Union Street, Birmingham, England in August 1836. It expanded in the Midlands, absorbing many local banks, and merged with the Central Bank of London Ltd in 1891, becoming the London City and Midland Bank. After a period of nationwide expansion, including the acquisition of many smaller banks, the name Midland Bank Ltd was adopted in 1923. By 1934 it was the largest deposit bank in the world. It was listed on the London Stock Exchange and was once a constituent of the FTSE 100 Index but in 1992 it was taken over by HSBC Holdings plc. Prudential – I want to be a Brain Surgeon commercial featuring Jake Wood of East Enders fame. Established in 1848, today Prudential plc is an international financial services company with a product range including personal banking, insurance, pensions and retail investments, institutional fund management and property investments. In the UK we are a leading life and pensions provider with around seven million customers. M&G was acquired by Prudential in 1999. It is the Group’s UK and European fund manager, responsible for managing £290 billion (as at 31 December 2009). In Asia, we are the leading European life insurer with life and fund management operations in 13 countries serving some seven million customers. In the US, we own Jackson National Life, a leading life insurance company, and has almost three million policies and contracts in force. Advert for Legal & General from 1977. Legal & General was formed by Sergeant John Adams and five other lawyers in June 1836 in a Chancery Lane coffee shop. Originally called the New Law Life Assurance Society, the society was restricted to those in the legal profession. The name was changed to Legal & General Life Assurance Society to reflect that policies were available to the general public but with share ownership restricted to those in the legal profession. The group expanded in the UK and soon began to acquire overseas life assurance companies, purchasing a pensions business from the Metropolitan Life Assurance Company of New York in the 1930s. National Westminster Bank Plc, commonly known as NatWest, is a retail bank in the United Kingdom that has been part of The Royal Bank of Scotland Group Plc since 2000. It was established in 1968 by the merger of National Provincial Bank (established 1833 as National Provincial Bank of England) and Westminster Bank (established 1834 as London County and Westminster Bank). Traditionally considered one of the Big Four clearing banks, NatWest has a large network of 1,600 branches and 3,400 cash machines across Great Britain and offers 24-hour Actionline telephone and online banking services. Today it has more than 7.5 million personal customers and 850,000 small business accounts. In Northern Ireland it operates through its Ulster Bank subsidiary. Access is a defunct credit card, originally introduced in the United Kingdom in 1972 by a consortium of National Westminster Bank, Midland Bank (now HSBC), Lloyds Bank (now Lloyds TSB), and The Royal Bank of Scotland, as a rival to the established Barclaycard (VISA). 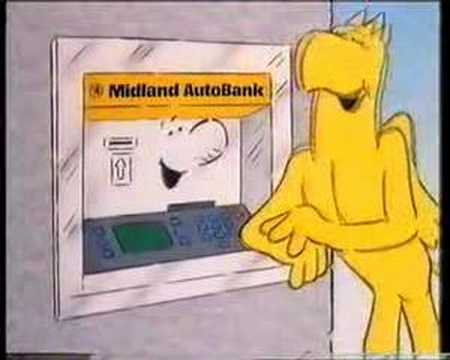 It was also issued in both Northern Ireland and the Republic of Ireland by Ulster Bank, a subsidiary of NatWest, Northern Bank, then a subsidiary of Midland; and Bank of Ireland, which was unconnected to the founder banks. The card scheme was run from Southend-on-Sea in Essex, by the Joint Credit Card Company Limited. It participated in the Eurocard/MasterCard systems. Europay International SA has since been taken over by MasterCard International itself. All content on this site remains the copyright of their respective owners.